The crude oil market is very unstable and crude oil prices are rising. Crude oil prices are likely to continue to rise. They seem to want the crude oil market to be unstable. Russia Iran Venezuela are very big energy producing countries. They are pushing these countries into very unstable situation. The Middle East is going to a situation where a big war can happen at any time. Crude oil prices can not go down. The resistance line of WTI is $ 63.01. 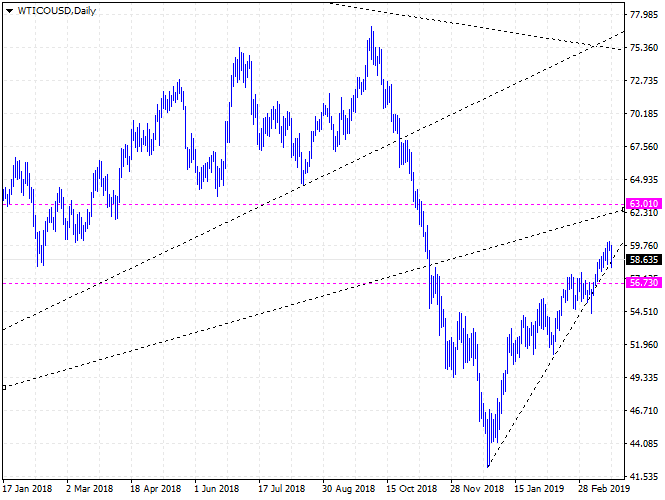 WTI seems likely that it will rise to $ 64.6. Brent crude is likely to climb to $ 75.3. If crude oil prices fall, it will be a good opportunity to buy.